The Principles of Macroeconomics CLEP tests the taker's knowledge on a wide variety of economic principles as they apply to the economy as a whole. 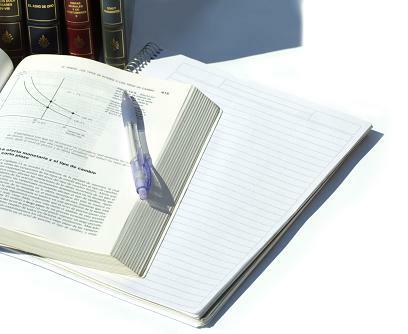 Macroeconomics can be described as the study of the economy on the national level, and as such this exam tests on what makes that economy operate. I'm not going to sugar-coat this one. Most people find the Principles of Macroeconomics CLEP and it's Micro cousin to be intimidating. I considered myself pretty knowledgeable when it came to economics, and I still postponed the exam twice because I wasn't sure if I was ready for it. I bit the bullet, sat the exam after studying for a few days straight and passed with no problems. I'm not sure if that's because of the extra time I spent studying, or if it was easier than I expected it to be. The information itself isn't that difficult; there's just a lot to learn. Unless you work in the financial field, much of the information covered will be new to you. The good news? At the time of this writing (2009) our economy is going through the ringer and I keep hearing topics from Macroeconomics in the news. The Federal Reserve, inflation, leveraging, and Bretton Woods have all been mentioned lately. If there was ever a time to understand the theories behind Macro and Micro economics, it's now! CyberEconomics Macro Portion - A great resource for both the Principles of Macroeconomics CLEP and the Principles of Microeconomics CLEP. Dr. Schenk has truly done a great job with the site. Also don't miss the "Who's Who" section on the bottom of the page. It gives an outstanding timeline for many of the big players in Economics. YouTube Economics Lecture Playlist - Got to love Khan Academy! This is a complete list of videos covering Macroeconomics which covers much of what you'll see on the Principles of Macroeconomics CLEP. If watching video is more your thing, then this is a great series of videos to do so. Sparknotes - Economics - Sparknotes goes into detail with quite a few areas dealing with Macroeconomics, though I would caution against using them as your sole study resource. All about the Federal Reserve - Chances are that you'll need to understand the Federal Reserve for the Principles of Macroeconomics CLEP exam. It's also important to understand that people have strong feelings (both positive and negative) about the Federal Reserve, but the CLEP doesn't care about that. It just wants the facts. I just mention this so you are aware that any info you find may have a bias one way or the other. Ignore that, and look for the facts. Principles of Macroeconomics w/ CD-ROM (REA) - I'm including this only because some people swear by it for this exam. I didn't have much luck with it personally. It was hard for me to understand, and I ended up using it only for the practice tests once I had studied with InstaCert. The practice exams were actually harder than the CLEP itself, so if you're passing these, then you're ready for the real thing. Cracking the AP Economics Macro & Micro Exams, 2009 Edition (College Test Preparation) - Rather than one of the recommended textbooks, I would suggest picking this up instead. It's actually for the Macro and Micro AP exams, but it should give you a firm foundation in both for the CLEPs. A little extra studying with one of the supplemental resources and you should be fine. It's also much cheaper than buying one, let alone two textbooks to prepare for these. Standard Deviants: Macroeconomics - If you prefer video, and the free lecture videos above weren't enough, or if your internet is like mine and it takes you 30 minutes to load a 10 minute video (sigh) then try these out. Check to see if your local library has them first! I was pleasantly surprised to find that mine did. InstantCert Academy - Principles of Macroeconomics Specific Exam Feedback - Four pages of study notes, specific topics of study, and after action reports. Be sure to check out the Flashcards for the Principles of Macroeconomics CLEP as well. It's perfectly possible to self-study and successfully take the Principles of Macroeconomics CLEP exam. The charts and graphs tend to make some people nervous, but they're nothing to lose any sleep over. Instant Cert has quite a few examples of graphs in the flashcards if you're a subscriber. If you haven't subscribed yet, you should be able to find some graphs demonstrating supply and demand, and opportunistic cost at one of the above free resources. For the formulas, I would suggest creating a cheat sheet of the most used such as MPC, bank assets, and reserves. Then study them until you've got them down cold. There are a few CLEP exams that require a firm understanding of how to use the formulas versus just memorizing them and the Principles of Macroeconomics CLEP is one of them. It's not difficult to learn how to use them as long as you dedicate the time. You can do it!